Narayan Niwas (A Heritage Haveli) A 17th Century Haveli which is now transformed into a hotel reflecting the charm and grace of a bygone era. Narayan Niwas brings forth a unision of both modern comfort and traditional style. This haveli is Located on the eastern banks of Lake Pichola with a panaromic view of City palace, Lake Palace, Jag Mandir, Sajjan Garh and the Old City. Doorman, Recreation, Baggage Storage on Request, Laundry Facilities, Front Desk, Travel Counter, Restaurant, Security Guard, Family/Child Friendly, Safe Deposit Box-Front Desk. Desk, H/C Water, House Keeping, Air Conditioning Room, Balcony / Terrace, Dustbins, Complimentary Toiletries, Iron/Ironing Board, Attached Bathroom, Basic Bathroom Amenities. 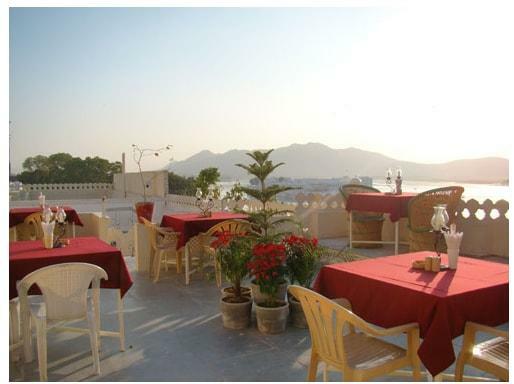 User reviews for "Narayan Niwas Guest House Udaipur"